“It all started with a sno-ball …” That is how we start our new family home’s story, renovating one of the oldest homes in Metairie. We were out for an afternoon stroll, only weeks from welcoming our third child. After leaving our neighborhood stand in late April, with our first sno-balls of the season, we decided to take the long way home. From around the corner, we saw the red and white For Sale by Owner sign. As we approached the house, we gasped at the lush, deep lot — that was just perfect for fast-moving little feet — anchored with an architect’s dream of a classic bungalow needing a complete renovation and shaded by a beautiful cypress tree, which we later discovered is one of the oldest in the neighboring parishes. It was like that moment when you know what you want to be or do, or who you want to spend the rest of your life with. When I got off the phone from scheduling a viewing, I turned to my husband and said, “I feel as if I already know the owner.” Sure enough, as in New Orleans fashion with two or less degrees of separation, the owner was a friend of a friend — and it was fate that put us together, along with him turning down multiple offers. Paperwork moved quickly and the renovation began the day that we left the hospital with our newest family addition. We knew we wanted to invest emotionally and financially into our city again, but our dream of settling back in our home town was nearly a two-year process. Despite being natives of the area and visiting often during our five-year adventure in Chicago, it took some time for my husband and I to get reacquainted with the unique characteristics of each neighborhood, parish and school. There had been so many changes, and for the better, during our hiatus, which made it even more difficult to choose one particular area. During those years, as local and national resources documented, we witnessed house prices in the metro area continue to soar without many choices on the market. New Orleans has one of the hottest markets — and rightfully so — with multiple proposed and ongoing economic projects getting national and worldwide attention. We knew we needed to be flexible and act quickly. So when we laid eyes and agreed to embark on the renovation, we became fixated on the dream to make the house our home and the location where our family would grow and cherish. 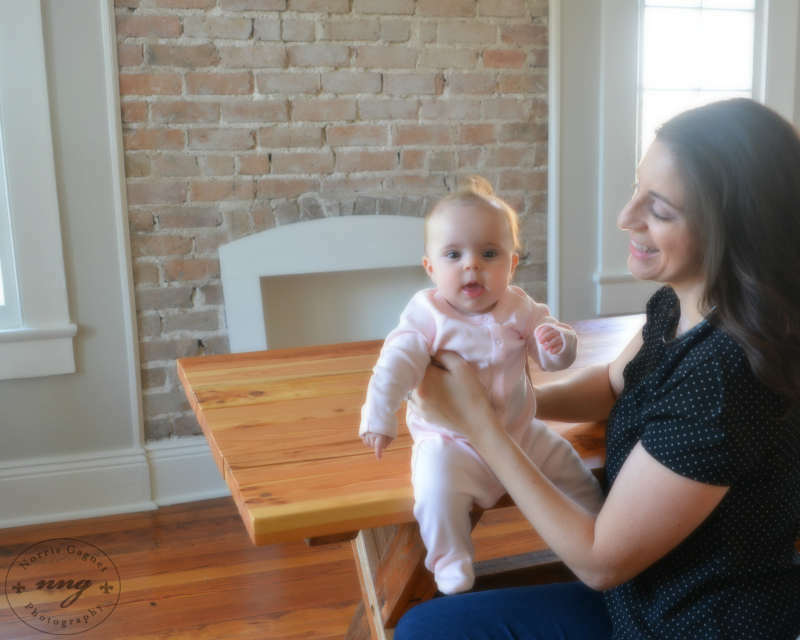 Between newborn snuggles; juggling both of our own practices, while maintaining stability for our two toddlers, we survived the perils of construction. Some said we were crazy. Others admired our ambition. We were determined to make our dreams a reality, and, thankfully, being an architect, the relationships I had in the design and construction industry, along with our excitement and commitment to provide a stable home for our little ones, motivated us every minute. We were finally in the home stretch, close to our parish, children’s school, family and friends. Making groceries at our local supermarket, supporting other local mom and pop businesses, and getting to know our neighbors are just some of the things we are doing to support our local neighborhood. As I hear little feet running on our nearly century-old floors on weekend mornings, church bells in the distance, and imaginary adventures in the backyard and giggles coming from the playroom, I know that despite the challenges, we made the right choice for our growing family — and we are proud to finally call New Orleans home again.